Occupational therapy focuses on teaching functional skills to individuals so they can effectively participate in activities of their daily life (home, school, work, play). 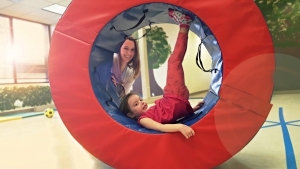 Services provided by Occupational therapists with expertise in the areas of sensory integration, technical execution of writing, self regulation and autism specific modifications of environments. Occupational therapy targets teach specific technical skills while also providing overall participation support for the individual by collaborating with the team, family and school when appropriate. Below is a list of some of the skills targeted by Occupational Therapy.